This week we discussed books that came early in the development of the science fiction genre. Published in 1910, one of the first affordable hardback series. Focused on mechanics, engineering, motors, and transportation. I wasn’t too fond of this book while I was reading it. The language and topics were very dated. Most of the characters were flat stereotypes. The plot was very predictable, but the character couldn’t see the threats and villains right in front of him (which became very annoying). However, after discussion, I see some merits to the text. These texts were written for a public that maybe didn’t read literature and so a lot of the explanation and stereotypes were necessary. The books praised and glorified technology and innovation, which I think we need more of today. We need more admiration and aspiration towards the sciences as opposed to other careers… athletes, actors, music. The books also tried to set a morality and behavior standard. I much preferred talking about Princess of Mars. This book was much more fantastical and adventure driven than Tom Swift instead of a technology focus. There were much more vivid descriptions and the characters were more fleshed out. While we were discussing the book, I realized that the main character, John Carter, is the same name of the legendary hero in Terminator. Which got me thinking about James Cameron movies, and I realized how many similarities there are between the book Princess of Mars and his films. There are SO MANY similarities, so I searched around on the internet and found a blurb that James Cameron DID read Edgar Rice Burroughs as a kid. The last book we discussed, Skylark of Space, kind of blended Tom Swift and Princess of Mars in that it had the technological aspects but also had space adventure. I found the book to be a little too heavy on the technical descriptions. But the most interesting part of the book was there being two of everything: two heroes, two heroines, two villains. That kind of thing interests me because a lot of what I write has multiple protagonists. This week we focused on picture books, which isn’t really my area of expertise nor what I desire to write. But I can still have an appreciation for picture books. We looked at two books that break the rules of the picture book genre. 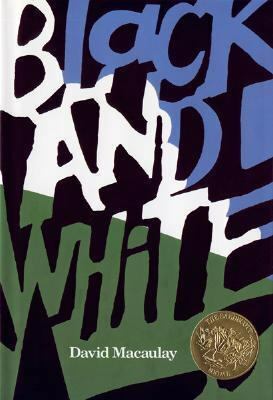 The first book we looked at was Black and White. This book turned out to be a post-modernist picture book where the story is told in non-linear time with an unreliable narrator. Basically, the book has four different plot lines, but by then end of the book you are very confused as to how the plotlines are all the same story but the impossibility of them all being interconnected. For example, there is one plotline that is on a toy train station, but it becomes clear that the parents were at this toy train station… and they are full-sized. It’s all very mind-bending. We talked about how a good picture book can be read over and over and still be appreciated. This book can be read over and over at different ages and you will get something different out of it. 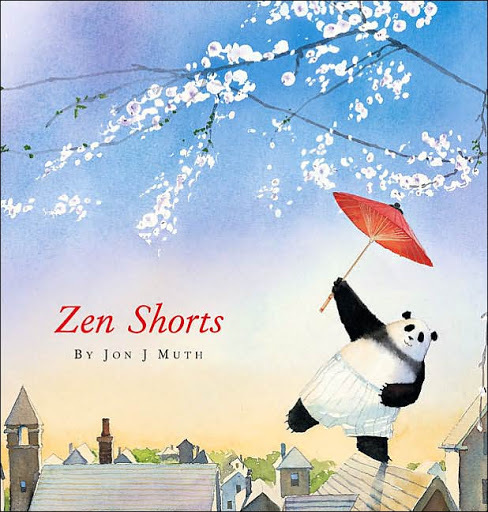 The next book we discussed is Zen Shorts by Jon Muth. This book was genre bending in how it presents Asian Culture. The books also makes great use of narrative gap where the author and illustrator leave it up to the reader to fill in what is happening between the unsaid moments in the story. The story is about how a giant panda with an umbrella arrives in this family’s backyard. Each of the three children go to visit the Panda and then play games and the Panda tells each of them an Asian folktale. The book is very charming and I like how it exposes children to Asian culture. On Tuesday, we discussed and looked at story beginnings. I love how well-prepared for class this teacher is. She always has custom handouts for us and great activities planned. This class, she had taken the first paragraphs of several novels and short stories and looked at what made them effective openings. We examined what information we learned about the characters and their setting. It was a really good exercise in reading as a writer. This teacher also thinks writing exercises are extremely important. She compared it to bar exercises for a dancer or practicing lay-ups for a basketball player. Doing writing exercises is creating and maintaining neural pathways in your brain. The more you use the connections in your brain, the easier it will be to access them when you are actually writing. Also working through different challenging exercises will help you troubleshoot problems you encounter in your writing. It made total sense to me. I loved the way she put it. She recommended a book of writing exercises called Steering the Craft by Ursula K LeGuin, that I definitely plan on ordering. Our next class we did a brief exercise/discussion about setting. She emphasized that setting details should not be lengthy in children’s books. Setting details should be carefully chosen. The details should be enough to give a picture and convey the tone of the scene. Kind of a less is more approach that I agree with. (Though lengthy, detailed, gorgeous setting descriptions are fun to write) She also said that if you’re going to spend a whole paragraph describing something, it better be important to the plot. Time spent describing something should be directly proportional to how important it is to the story. We also did the first four critiques of our short stories. My piece won’t be up for critique until next Thursday. So far, I’m very impressed with how the critiques have gone. For the most part, I feel like my classmates have great feedback and constructive criticism. However, my teacher is a spot-on critic. Her feedback is insightful and I enjoy listening and learning from it even if it isn’t directly about my piece. I’m so impressed with everything that comes out of her mouth. Our next short story has to be from the point-of-view of a non-human. It’s very open-ended. Right now, I’m leaning towards writing from the point of view of an angel. I have an idea for the plot, but it hits kind of close to home (teaching) and I’m not sure how I’m going to have it end because I don’t know the solution to this very real-world problem. We’ll see. I’m very much in the beginning stages at this point. Have a book series / author blog post that I want to do, but will leave that til tomorrow. So glad it’s the weekend!